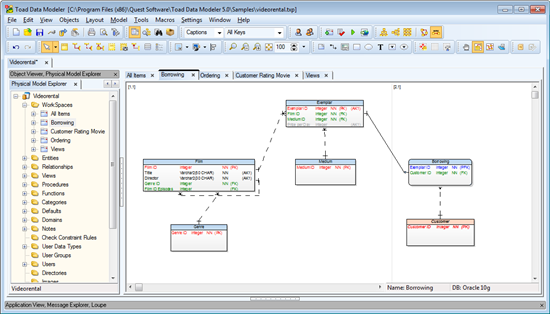 Toad Data Modeler allows you to divide large models to smaller parts - workspaces. If you already have objects on your workspace and wish to add missing relationships to it, right click workspace area, choose item Edit. The Workspace Properties dialog opens. 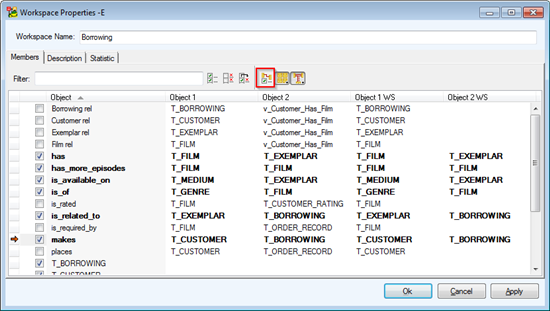 Click the Select Missing Relationships icon on on toolbar and click OK. In case you wish to use even faster method, download package Add Missing Relationship Lines to Active Workspace from library. Import the package to Toad Data Modeler and restart it. 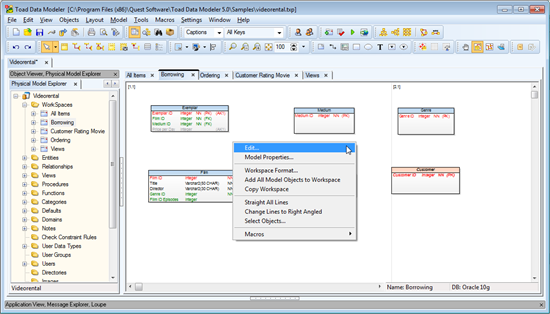 Open your model, right click your workspace and choose item Add Missing Lines to Workspace. Missing Entity and View relationships will be added to the workspace immediately.